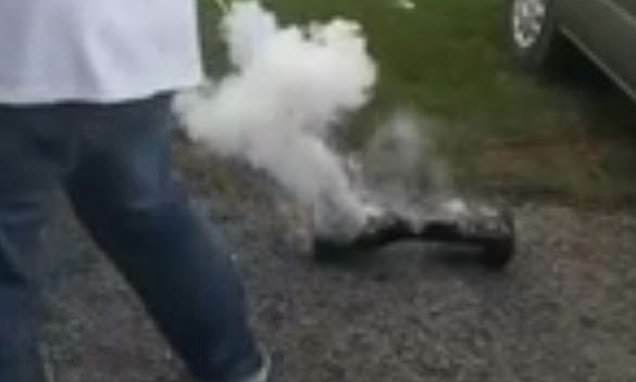 Firefighters have shared a video of the moment a hoverboard exploded into flames and thick smoke in a bid to warn parents. The gadget was charging inside a caravan when it started to smoke, prompting the family to rush it outside. But when they set it on the ground it exploded, creating thick plumes of smoke at the Cofton Holiday Park in Dawlish, south Devon, this week.